"Received the gear indicator today. Fitted within an hour this evening. Just wanted to say thank you for a great service. I will certainly recommend you to friends & will buy again. Thank you." "Just wanted to give you some feed back on the GIPRO X type I purchased for my 09 KLR650 about 2 years ago. What a great product! I have put over 15K on it last summer while traveling around the USA. I went through all types of weather and terrain. The unit operated flawlessly through my road trip. I plan on going to Panama next year and my GIPRO X type will definitely be there with me. Thanks and keep up the great work." "Hi, just to let you know i"m very pleased with my purchase from you. 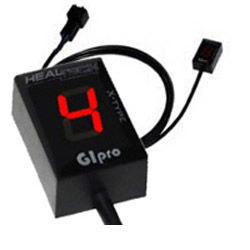 I bought the Glpro DS Gear change indicator and it works a treat on my Kawasaki ER6N 2012. I also like it"s compact design and easy installment.Not forgetting the quick delivery. Thanks again for a very good product." "Superb bit of kit, great quality, easy to fit and a doddle to set up - The Best gear indicator, solid reliabilty and no gliches or errors, Acumen please take note!!!" "I just tested mine on a full day ride... Works pretty damn well for me. Love the TRE too. Superb product." 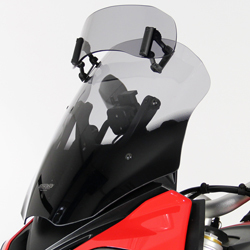 "The lag that is built into the bike is gone. This makes the bike much smoother. The rubber band effect is gone and the bike pulls steadily thru the rev range! The GIpro makes riding in town a lot more fun, as there is a reduced amount of downshifting, since the bike pulls harder in the lower rev range. The same applies to highway driving. While its always fun to drop a gear or two to pass traffic, I find that I have a tendency to let the bike “pull the gear” in a passing situation with the unit on." "Took it for a test ride to see how it worked and im pretty impressed with the gear indicator. It senses the gear even while your not moving and if there is any lag when switching its almost un-noticeable, unlike the other units out there. The TRE part seems to work pretty good too." 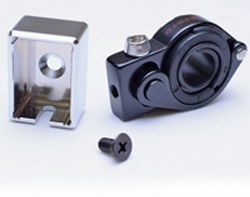 For all Kawasakis without electrically driven speedos as standard (but which do have an electrically/electronically driven Tacho/Rev-counter) the GiPro Wheel Speed Sensor (WSS-Type) comes with a magnetic pickup convertor included to provide the electrical pulse required to activate your gear indicator. Please note the WSS units are universal and not model specific, but installation has been made as simple as possible. !quote, er-6f, er-6n, er-4f, er-4n, zx6r, zx6rr, zx10r, zx12r, naked, faired, electronics, ninja-650, zx9r, zx12r, zz-r600, zx14, zx-6r, zx-10r, zz-r1400, 1000, 1400, 1500, 1600, 1700, 1998, 1999, 1999, 2000, 2001, 2002, 2003, 2004, 2005, 2006, 2007, 2008, 2009, 2010, 2011, 2012, 2013, 2014,2 015, 2016, 2017, 2018, 2019, 2020, 98, 99, 00, 01, 02, 03, 04, 05, 06 07, 08, 09, 10, 11, 12, 13, 14, 15, 16, 17, 18, 19, 20! New to bikes I kept having trouble remembering which gear I was in. I bought a GLPRO for my Kawasaki ER6F 2010. Had it installed and working within 10 minutes. Lift up the seat remove the existing connector and connect this device - bingo.